A toilet leak can surely be a huge source of annoyance and discomfort for you. Not only foul smell, but a toilet leak can also result in increased water bills if you don’t get it fixed in time. You cannot delay to fix your toilet leak, especially if your house is filled with foul smell all time long. 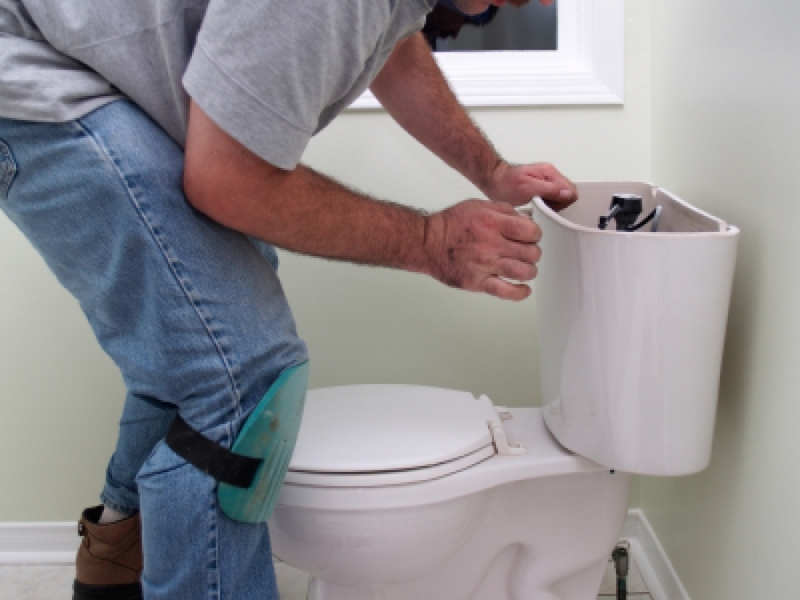 Don’t wait for any professional to come and fix your toilet but you can detect the actual problem and fix it yourself. Normally, toilet leaks result because of any crack in the toilet bowl itself or any lose nuts and bolts attached to it. You can resolve such problems without sparing much time and any professional assistance. In the first place, you should first examine for any condensation in the toilet bowl. Fill up the toilet tank and wait until the water reaches the room temperature. Look out for water beads condensed around the toilet bowl and if seen, clean them up with a cloth and leave the room for almost an hour. Toilet bowl and its surroundings should be examined thoroughly after one hour passes. If you don’t see any spilled water around the bowl and on the floor surrounding it, this means there is no issue with your toilet bowl and your suspected leakage was merely because your bathroom has excess condensation. Place paper towels around the base of your toilet bowl and see if can see any moisture on them after some time. If you see signs of water on the paper toilet, it indicated that the toilet wax ring has loosened up and water is coming out of it. Take a wrench and tighten the bolts to seal space between the wax ring. One other possible cause of leakage is that the rubber gasket which connects the toilet bowl to the water tank wears out. You can check out the base of the toilet tank and the rear side of the bowl to see any leaking water. Use a wrench to tighten the bolts attached to the bowl. If the leakage persists after tightening the bolts, purchase a new wax gasket from any hardware store and replace it. Having any difficulties in doing so can be resolved with a help from a plumber. If you can clearly see any crack in the toilet bowl, you need to immediately turn water the shut-off valve and clean up the crack with a cloth soaked with soap. Once the bowl crack dries, make an epoxy adhesive and fill it in the crack using a knife. Push the adhesive deep into the crack and apply further layers on the crack to bring it in level with the bowl’s surface. Don’t use the bowl for the next 24 hours and allow the epoxy adhesive to dry completely.